Aircraft batteries are used for many functions (e.g., ground power, emergency power, improving DC bus stability, and fault clearing). 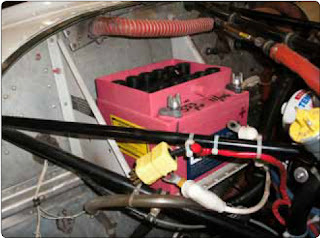 Most small private aircraft use leadacid batteries. Most commercial and corporate aircraft use nickel-cadmium (NiCd) batteries. However, other lead acid types of batteries are becoming available, such as the valve-regulated lead-acid (VRLA) batteries. The battery best suited for a particular application depends on the relative importance of several characteristics, such as weight, cost, volume, service or shelf life, discharge rate, maintenance, and charging rate. Any change of battery type may be considered a major alteration. 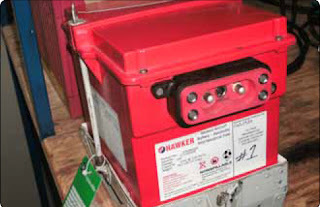 Aircraft batteries are usually identified by the material used for the plates. The two most common types of battery used are lead-acid and NiCd batteries. VRLA batteries contain all electrolyte absorbed in glass-mat separators with no free electrolyte and are sometimes referred to as sealed batteries. [Figure 2] The electrochemical reactions for VRLA batteries are the same as flooded batteries, except for the gas recombination mechanism that is predominant in VRLA batteries. These types of battery are used in general aviation and turbine powered aircraft and are sometimes authorized replacements for NiCd batteries. When VRLA batteries are on charge, oxygen combines chemically with the lead at the negative plates in the presence of H2SO4 to form lead sulfate and water. This oxygen recombination suppresses the generation of hydrogen at the negative plates. Overall, there is no water loss during charging. A very small quantity of water may be lost as a result of self-discharge reactions; however, such loss is so small that no provisions are made for water replenishment. The battery cells have a pressure relief safety valve that may vent if the battery is overcharged. A NiCd battery consists of a metallic box, usually stainless steel, plastic-coated steel, painted steel, or titanium containing a number of individual cells. [Figure 3] These cells are connected in series to obtain 12 volts or 24 volts. The cells are connected by highly conductive nickel copper links. Inside the battery box, the cells are held in place by partitions, liners, spacers, and a cover assembly. The battery has a ventilation system to allow the escape of the gases produced during an overcharge condition and provide cooling during normal operation. NiCd cells installed in an aircraft battery are typical of the vented cell type. The vented cells have a vent or low pressure release valve that releases any generated oxygen and hydrogen gases when overcharged or discharged rapidly. This also means the battery is not normally damaged by excessive rates of overcharge, discharge, or even negative charge. The cells are rechargeable and deliver a voltage of 1.2 volts during discharge. 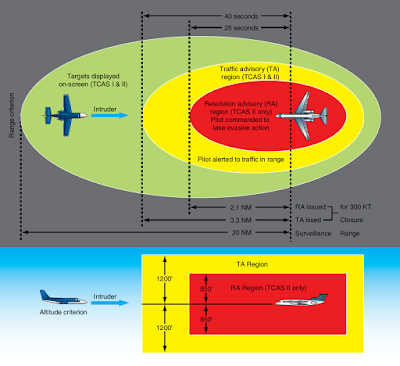 Aircraft that are outfitted with NiCd batteries typically have a fault protection system that monitors the condition of the battery. The battery charger is the unit that monitors the condition of the battery and the following conditions are monitored. If the battery charger finds a fault, it turns off and sends a fault signal to the Electrical Load Management System (ELMS). This does not become a self-sustaining thermal-chemical action if the constant-voltage charging source is removed before the battery temperature is in excess of 160 °F. Cell design (cell geometry, plate thickness, hardware, and terminal design govern performance under specific usage conditions of temperature, discharge rate, etc.). Discharge rate (high current rates yield less capacity than low rates). Temperature (capacity and voltage levels decrease as battery temperature moves away from the 60 °F (16 °C) to 90 °F (32 °C) range toward the high and low extremes). Charge rate (higher charge rates generally yield greater capacity). The one-hour rate is the rate of discharge a battery can endure for 1 hour with the battery voltage at or above 1.67 volts per cell, or 20 volts for a 24-volt lead-acid battery, or 10 volts for a 12-volt lead-acid battery. The one-hour capacity, measured in ampere hours (Ah), is the product of the discharge rate and time (in hours) to the specified end voltage. The emergency rate is the total essential load, measured in amperes, required to support the essential bus for 30 minutes. This is the rate of discharge a battery can endure for 30 minutes with the battery voltage at or above 1.67 volts per cell, or 20 volts for a 24 volt lead-acid battery, or 10 volts for a 12 volt lead-acid battery. Separate facilities for storing and/or servicing flooded electrolyte lead-acid and NiCd batteries must be maintained. Introduction of acid electrolyte into alkaline electrolyte causes permanent damage to vented (flooded electrolyte) NiCd batteries and vice versa. However, batteries that are sealed can be charged and capacity checked in the same area. Because the electrolyte in a valve-regulated lead-acid battery is absorbed in the separators and porous plates, it cannot contaminate a NiCd battery even when they are serviced in the same area. WARNING: It is extremely dangerous to store or service lead-acid and NiCd batteries in the same area. Introduction of acid electrolytes into alkaline electrolyte destroys the NiCd, and vice versa. Discharged lead-acid batteries exposed to cold temperatures are subject to plate damage due to freezing of the electrolyte. To prevent freezing damage, maintain each cell’s specific gravity at 1.275 or, for sealed lead-acid batteries, check open circuit voltage. 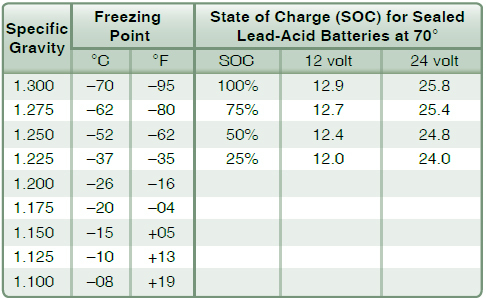 [Figure 5] NiCd battery electrolyte is not as susceptible to freezing because no appreciable chemical change takes place between the charged and discharged states. However, the electrolyte freezes at approximately –75 °F. NOTE: Only a load check determines overall battery condition. U.S.-manufactured lead-acid batteries are considered fully charged when the specific gravity reading is between 1.275 and 1.300. 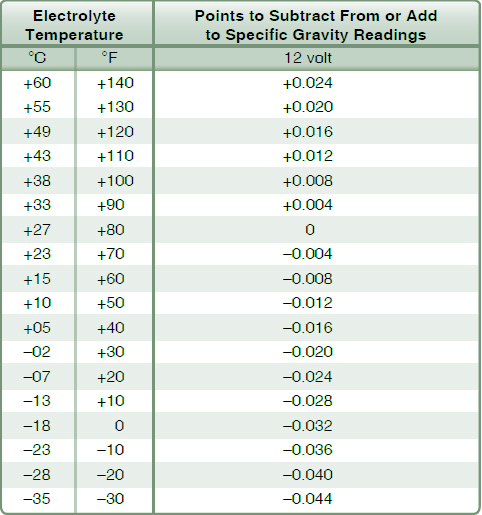 A 1⁄3 discharged battery reads about 1.240 and a 2⁄3 discharged battery shows a specific gravity reading of about 1.200 when tested by a hydrometer at an electrolyte temperature of 80 °F. However, to determine precise specific gravity readings, a temperature correction should be applied to the hydrometer indication. 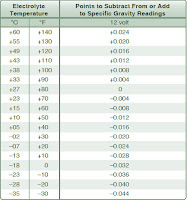 [Figure 6] As an example, for a hydrometer reading of 1.260 and electrolyte temperature of 40 °F, the corrected specific gravity reading of the electrolyte is 1.244. 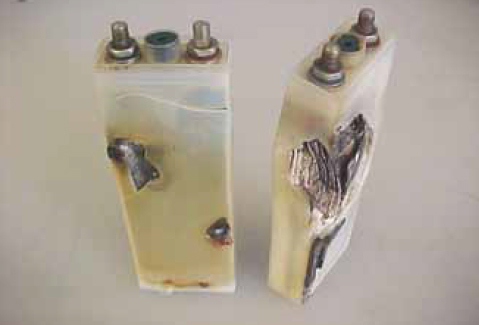 Operation of aircraft batteries beyond their ambient temperature or charging voltage limits can result in excessive cell temperatures leading to electrolyte boiling, rapid deterioration of the cells, and battery failure. The relationship between maximum charging voltage and the number of cells in the battery is also significant. This determines (for a given ambient temperature and state of charge) the rate at which energy is absorbed as heat within the battery. For lead-acid batteries, the voltage per cell must not exceed 2.35 volts. In the case of NiCd batteries, the charging voltage limit varies with design and construction. Values of 1.4 and 1.5 volts per cell are generally used. In all cases, follow the recommendations of the battery manufacturer. The battery charging system in an airplane is of the constant voltage type. An engine-driven generator, capable of supplying the required voltage, is connected through the aircraft electrical system directly to the battery. A battery switch is incorporated in the system so that the battery may be disconnected when the airplane is not in operation. The voltage of the generator is accurately controlled by means of a voltage regulator connected in the field circuit of the generator. For a 12-volt system, the voltage of the generator is adjusted to approximately 14.25. On 24-volt systems, the adjustment should be between 28 and 28.5 volts. When these conditions exist, the initial charging current through the battery is high. As the state of charge increases, the battery voltage also increases, causing the current to taper down. When the battery is fully charged, its voltage is almost equal to the generator voltage, and very little current flows into the battery. When the charging current is low, the battery may remain connected to the generator without damage. When using a constant-voltage system in a battery shop, a voltage regulator that automatically maintains a constant voltage is incorporated in the system. A higher capacity battery (e.g., 42 Ah) has a lower resistance than a lower capacity battery (e.g., 33 Ah). Hence, a high-capacity battery draws a higher charging current than a low-capacity battery when both are in the same state of charge and when the charging voltages are equal. The constant voltage method is the preferred charging method for lead-acid batteries. Constant current charging is the most convenient for charging batteries outside the airplane because several batteries of varying voltages may be charged at once on the same system. A constant current charging system usually consists of a rectifier to change the normal AC supply to DC. A transformer is used to reduce the available 110-volt or 220-volt AC supply to the desired level before it is passed through the rectifier. If a constant current charging system is used, multiple batteries may be connected in series, provided that the charging current is kept at such a level that the battery does not overheat or gas excessively. The constant current charging method is the preferred method for charging NiCd batteries. Typically, a NiCd battery is constant current charged at a rate of 1CA until all the cells have reached at least 1.55V. Another charge cycle follows at 0.1CA, again until all cells have reached 1.55V. The charge is finished with an overcharge or top-up charge, typically for not less than 4 hours at a rate of 0.1CA. 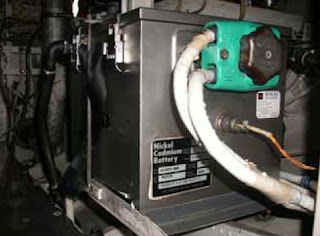 The purpose of the overcharge is to expel as much, if not all the gases collected on the electrodes, hydrogen on the anode, and oxygen on the cathode; some of these gases recombine to form water that, in turn, raises the electrolyte level to its highest level after which it is safe to adjust the electrolyte levels. During the overcharge or top-up charge, the cell voltages go beyond 1.6V and then slowly start to drop. No cell should rise above 1.71V (dry cell) or drop below 1.55V (gas barrier broken). Charging is done with vent caps loosened or open. A stuck vent might increase the pressure in the cell. It also allows for refilling of water to correct levels before the end of the top-up charge while the charge current is still on. However, cells should be closed again as soon as the vents have been cleaned and checked since carbon dioxide dissolved from outside air carbonates the cells and ages the battery.